Posted February 3, 2015 by Emily Adams . When you sell beautiful, picturesque products online, you NEED a visually striking website that highlights them to potential buyers. 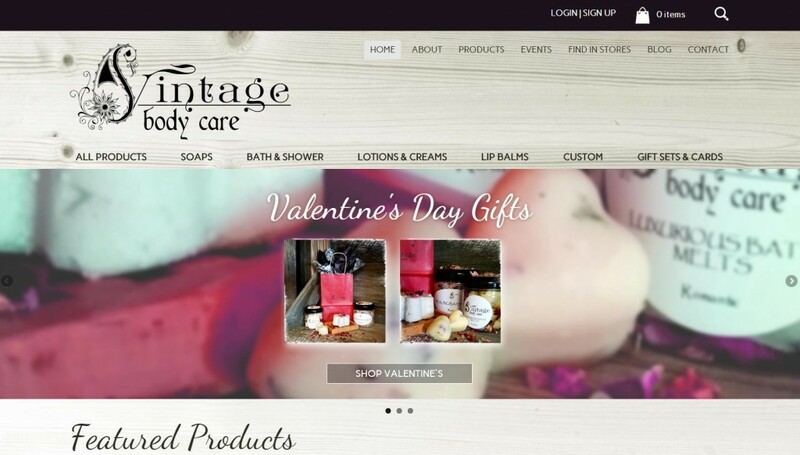 That’s what the owner of Vintage Body Care knew when she approached Automated Marketing Group for a ecommerce website redesign. Based in Casper, WY, this small, family owned and operated business started with an idea that developed into a dream – to manufacture and sell body care products that are 100% safe and non-toxic. From simple, natural recipes, Vintage Body Care creates soaps, lotions and creams, lip balms, and bath and shower products for environmentally and health conscious consumers. However, the business was not reaching their full potential online. Their old website was under-performing, and the products weren’t being found by target customers in search engines. With such visually appealing products, the images were lost in a sea of empty space and bland colors. The products fell to the background, and users had to scroll continually before they could get a sense of the diversity of goods available. So Automated Marketing Group stepped in to help. Our web designer instantly recognized the potential that the product photos held, and immediately set to work building a striking website design that was both product- and customer-centric. The new, fully equipped website features a photo slider, complete e-commerce functionality with an easy-to-navigate online store, mobile-friendly and responsive design, and a calendar of events and blog to keep customers up-to-date with the latest news and updates. 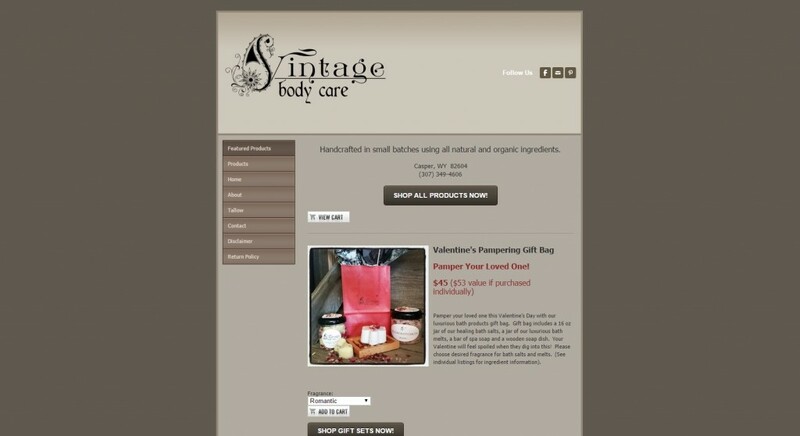 And like all our website designs, the new Vintage body care website is fully optimized for online searches! New visitors and customers can find exactly the product they need, along with inspiration and ideas on their newly designed and released website. 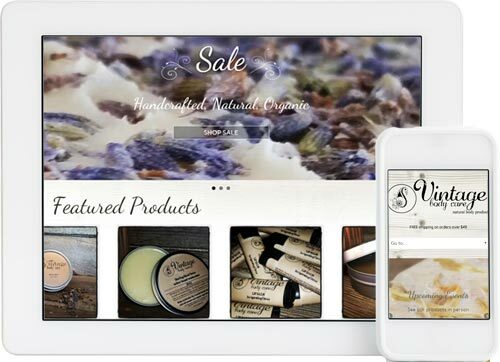 Vintage Body Care is now poised for online success! With the latest features, user-friendly navigation, and implemented search engine optimization, the new ecommerce website design is the solid foundation for all this businesses online and digital marketing triumphs. Congratulations Vintage Body Care – we’re looking forward to what you’ll accomplish next! If your business is missing this critical marketing centerpiece, or to evaluate the effectiveness of your current website, give our team a call at 303-703-8000.